LEMOORE — The man who led the Tachi tribe for more than 40 years passed away this week, according to sources close to his family. He was 67. 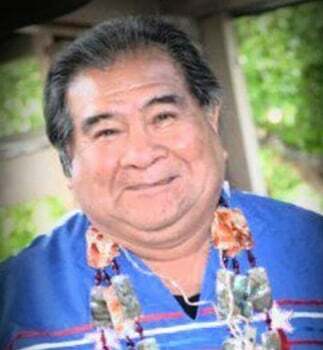 Clarence Atwell Jr. revitalized the Santa Rosa Rancheria during his time as tribal chairman. When he was elected to office in 1966, the area was mostly impoverished, with people living in cars and shanties, Atwell told The Sentinel back in 2009. He helped establish the Bingo Palace Indiana Gaming Center in 1983, which eventually grew into the Tachi Palace Hotel and Casino that sits there today. Atwell also taught tribal traditions and customs, including the Tachi language he grew up with, to new generations in the tribe. He retired in 2009 after suffering a stroke. He continued to be active in the community in the years that followed. Atwood passed away Thursday morning. Funeral services will be held next week. A viewing is scheduled for Monday at St. Peter’s Catholic Church in Lemoore at 4 p.m. A rosary service will follow at 6 p.m.
A Mass is set for 10 a.m. on Tuesday with traditional services to follow. The church is located at 870 North Lemoore Ave.
Members of the tribal council could not be reached Friday to comment. The reporter can be reached at 583-2425 or by email at jjohnson@hanfordsentinel.com. A huge loss to our community. Kaya was a beautiful Soul, compassionate leader & holder of the old ways. May his Spirit soar free with Grandfather. I shall miss you my friend.